XVIII Regional Competition of qualities of the Guild of Manchego Cheese. In the past XVIII Regional competition of qualities, organized by the Brotherhood of Manchego Cheese, the best artisanal manchego cheeses were chosen, with the following presides. 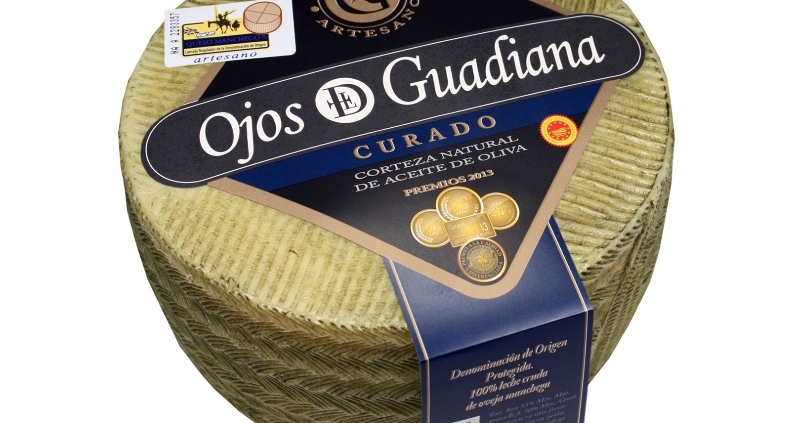 Cured Corcuera (cheeses Corcuera, la Puebla de Montalbán), best industrial cured cheese. Semicured Tomel (Cooperativa de stockbreeders Manchegos, Tomelloso), best industrial semicured cheese. This edition was held in Tomelloso, within the first Regional Congress of Manchego Cheese, and will receive the corresponding diploma awarded by the Manchego Cheese Guild on the 21st of October at the San Marcos Cultural Center in Toledo, in the days of Exaltation of Manchego cheese. https://www.museodelquesomanchego.com/wp-content/uploads/2017/10/curado-ojos-del-guadiana.jpg 600 800 editajo https://www.museodelquesomanchego.com/wp-content/uploads/2017/01/logotipo-300x100.png editajo2017-10-16 09:24:242017-12-04 16:10:09XVIII Regional Competition of qualities of the Guild of Manchego Cheese.